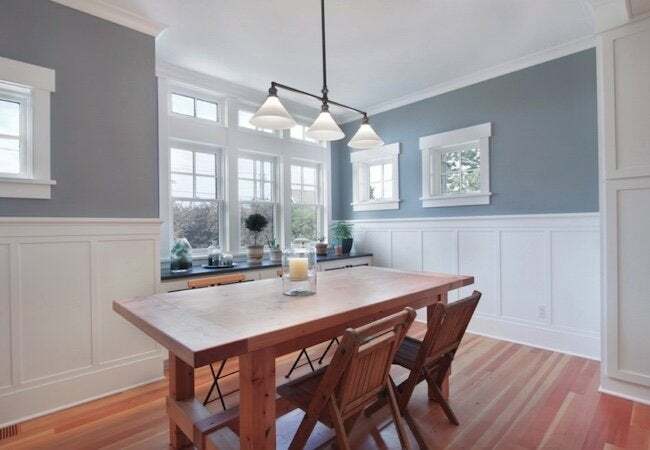 Bob Vila Radio: Why Not a Wainscot? For a low-cost, high-impact way of adding character to a lackluster room, give a second thought to installing wainscoting. If you’re looking to dress up the interior of your home but are working on a limited budget, why not consider adding some classic wainscoting to the walls? The term wainscoting refers to a broad range of moldings and panels usually applied to the lower third of walls. Besides a character-lending decorative effect, wainscoting also performs a practical role, protecting the walls from damage. In close quarters with a great deal of foot traffic—halls, for example, or entryways—beadboard has been a favorite for centuries. For a more formal look, you can eschew beadboard and its country connotations in favor of panels that you design and build yourself or buy pre-made. Solid wood wainscoting remains an option, though it’s also now commonly made of medium-density fiberboard, plywood, and even PVC. In the design phase, some do-it-yourselfers create cardboard stencils of prospective wainscot panels, temporarily mounting them on the walls to experiment with different configurations. Don’t be hesitant to try whatever you like. It’s your home, after all!